The spiritual home to French rose, Provence is in fact the birthplace of French vineyards. Ever since the Greeks brought wine to the area in 600 BC. In the time of the Greeks, all wines were generally pale in color – the color of today’s rosés. The Phoceans who founded the city of Massalia, Marseille developed wine growing in the region and created the Provincia Romana: Provence. foothills and limestone ridges sculpted by erosion. To the east are the crystalline massifs of Maures and Esterelst facing the sea, which recomposed in part of rocks of eruptive origins. Rosé has been the focus of Provence winemaking for centuries, which style is distinctively different thanks to the unique terroir. 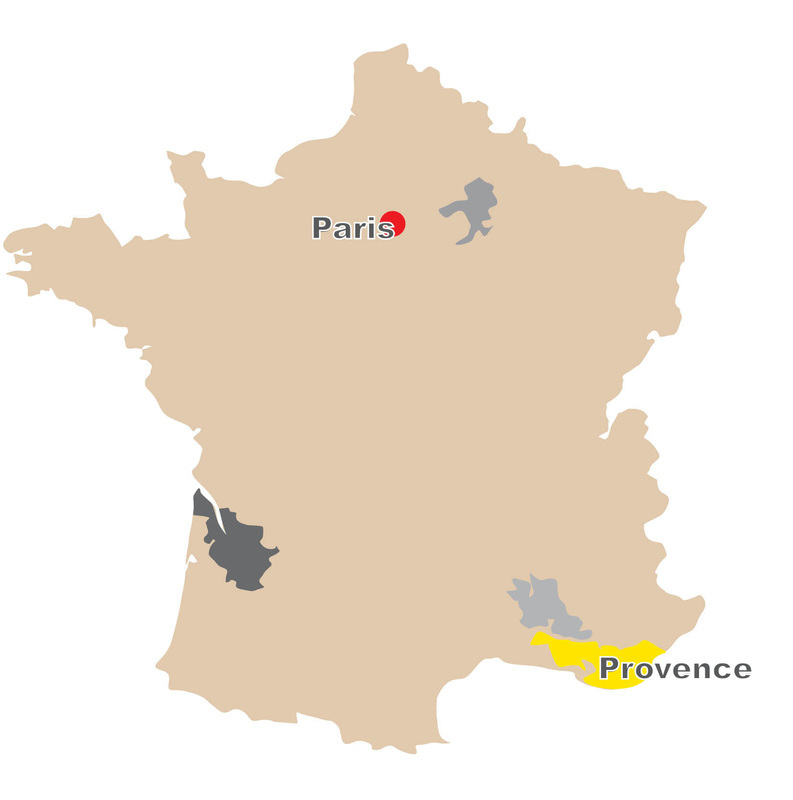 The physical environment of Provence – with its plentiful sunshine; its mistral winds; its Mediterranean Basin soils; and its hillsides covered with wild lavender, rosemary, and thyme – is reflected in the refreshing flavors and zesty aromas of Provence rosé, the benchmark of the best and truest roses for rest of the world.